ake Las Vegas nightlife to the next level. 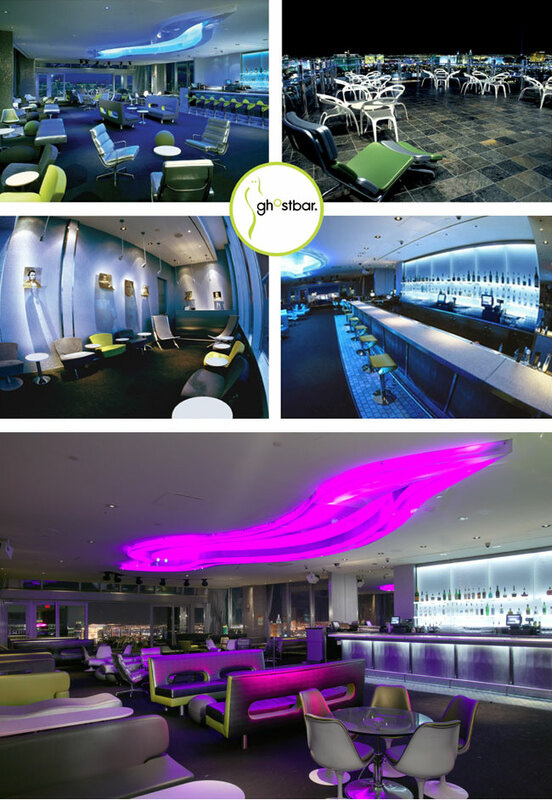 Sitting high atop the Vegas Strip, the Ghostbar reinvents high class. Frequented by celebrity clientele, the innovative décor creates an exclusive ambiance unlike anything you’ve ever seen. The dramatic outdoor sky deck offers nearly a 360-degree view of the glittering strip and glass insets in the floors provides a captivating view below.